Lot Detail - Colonial Currency: 1777 six shilling Pennsylvania note. 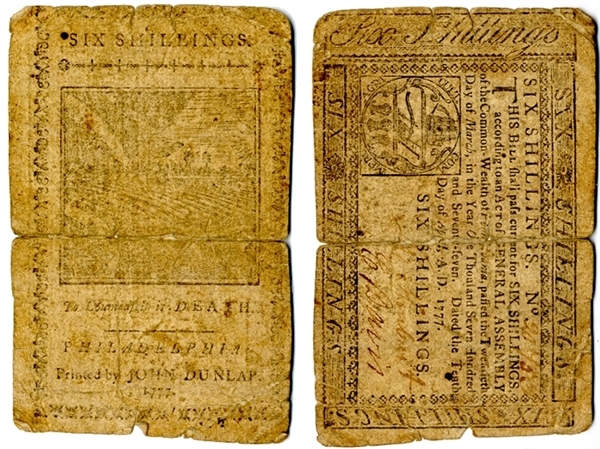 Colonial Currency: 1777 six shilling Pennsylvania note. War-date colonial currency, 1777, six shilling Pennsylvania note, signed by Michael Schubart and Caleb Davis. Very good condition.